A kinetic, frenetic, propulsive ride powered by a fun, synthy score. I had no idea what to expect, and though it's a teensy weensy show, it was 100% absorbing and addictive—stealing my complete attention for nearly 90 minutes out of 100. 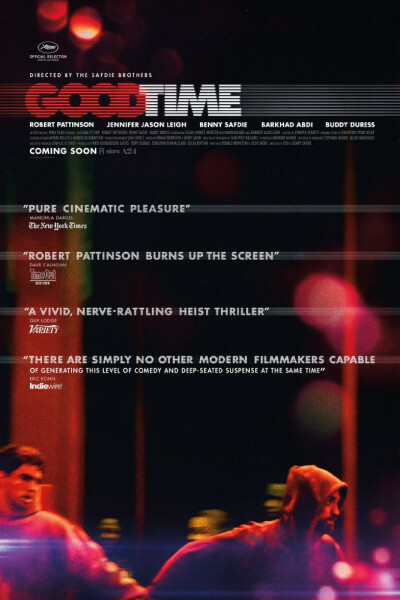 Pattinson is great, but Benny Safdie is really remarkable. To see him in the Q&A afterward blew my mind. He had transformed himself throughout the entire film with nary a lick of make-up. That's impressive, his onscreen persona being behavioral, save two thin, translucent hearing-aid wires and a few extra pounds. Truly amazing. That's acting.